A new forum which champions local heritage is heralding the start of an ambitious project as it launches its first conference. The Tyne & Wear Heritage Forum – an alliance of key heritage bodies and individuals in the north east – will host the first annual Tyne and Wear Heritage Conference on January 23, 2016 at The Biscuit Factory. The event, which will bring together local heritage and history groups in the region with members of the public, is the first step in a project to engage local communities in the preservation of their local heritage. The conference forms part of a larger project called HeritageACT! which will be officially launched at the event, and is designed to help support and encourage local communities to take responsibility for heritage features in their own regions. 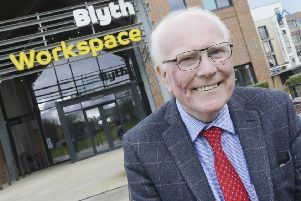 John Daniels, chair of the Tyne & Wear Heritage Forum, said: “This is an exciting opportunity to celebrate our region and the very special contribution made here during the Industrial Revolution, and to engage communities in work to preserve those surviving heritage features associated with this period. “At a time of restricted public funding for protection and preservation of heritage, we’re seeking to make a tangible and significant impact on the local environment, for the benefit of those who live and work here, and businesses which are based here.